This 6-year-old C. hybrid chance seedling of ‘Julia’ first bloomed in 2008. It was originated, registered and propagated by Walter Creighton of Semmes, Alabama. 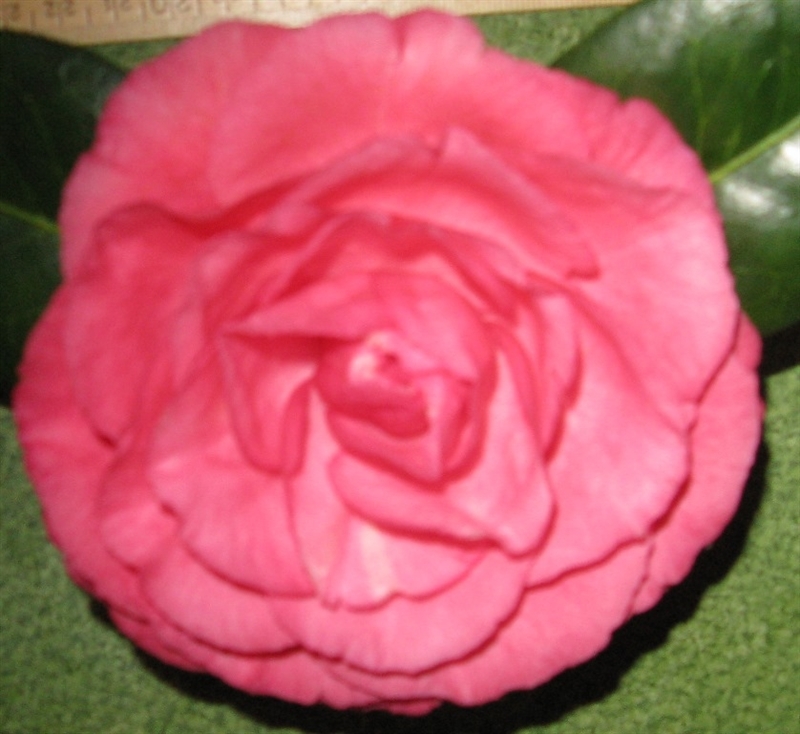 Bloom: The medium sized 3.5” x 1.5” formal double form flower is bright pink. The bloom consists of 60 petals. The petals form a swirl. The long lasting flowers fall in one piece with consistent form and petal fimbriation. Plant: The plant habit is upright and open. The growth rate is vigorous. The plant is suitable for exhibition use. Leaf: The medium green leaves average 4.5” x 1.75” with low serration. Bloom season: Early to late.